The cultural festival of Lepo Badeng Apau Koyan continued on the second day with a full fledged cultural celebration. 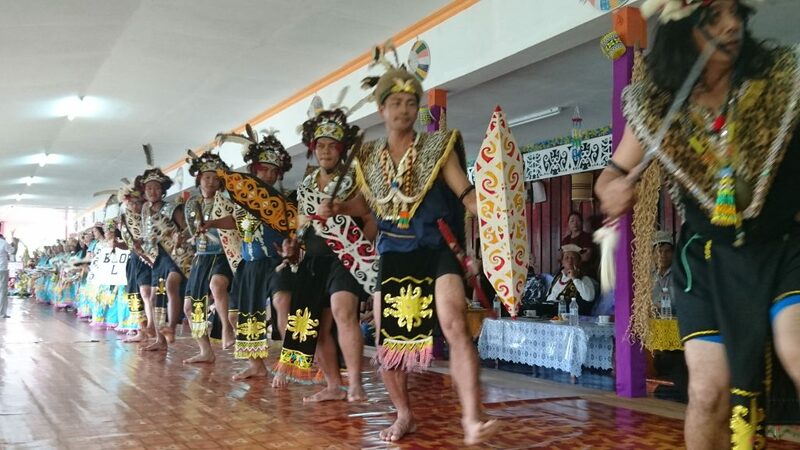 Dozens of longhouse’s community members representing each block of the longhouse performed the choreographed traditional hornbill dance called “datun julud”. 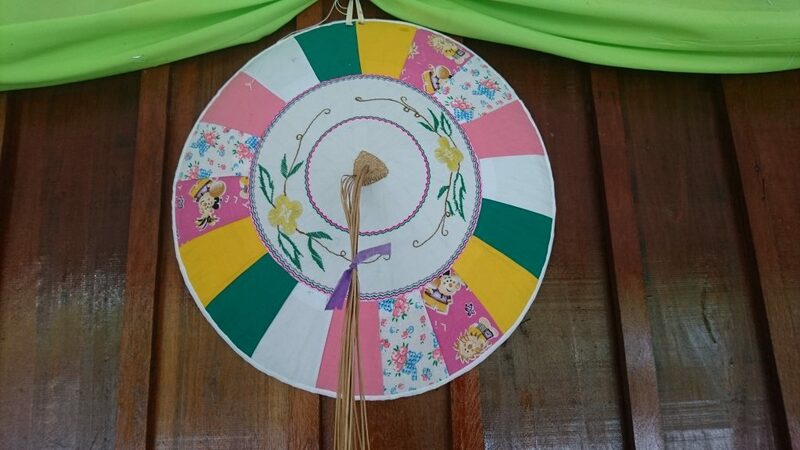 You can read on Cultural Festival – Lepo Badeng Apau Koyan (Day 1) HERE. Before the event, I had the opportunity to take pictures of Block L dancers. On a side note, real skulls and teeth of animals are often seen worn by the Kenyah people. 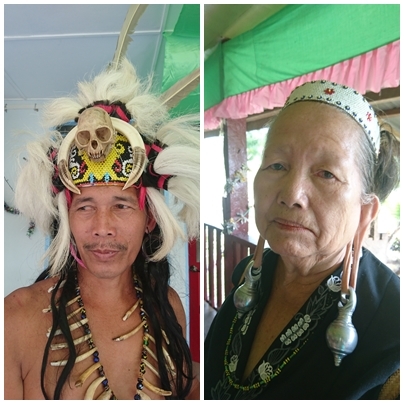 I spotted a lady at the longhouse still having long earlobe, which is the tradition which is near extinct as the younger generation does not observe the tradition anymore. Perhaps, having long earlobe is no longer seen as the striking beauty which was the case back in 1970s. Another lady told me that his uncle prohibited her from having the long earlobe in order for her to be easily accepted whenever she goes to the city. I am sure there is much debate on the long earlobe going on in the past century, but the Kenyah people has relaxed the tradition as seen throughout the Lepo Badeng Apau Koyan. Whatever is the case, the brass earrings are really heavy to begin with. The lady in the picture above allowed me to touch her brass earrings, so you can trust my words! Traditionally, the Kenyah danced datun julud to greet the returning warriors and to mark the end of the rice harvest season. These days, it is danced during the cultural celebrations and weddings. 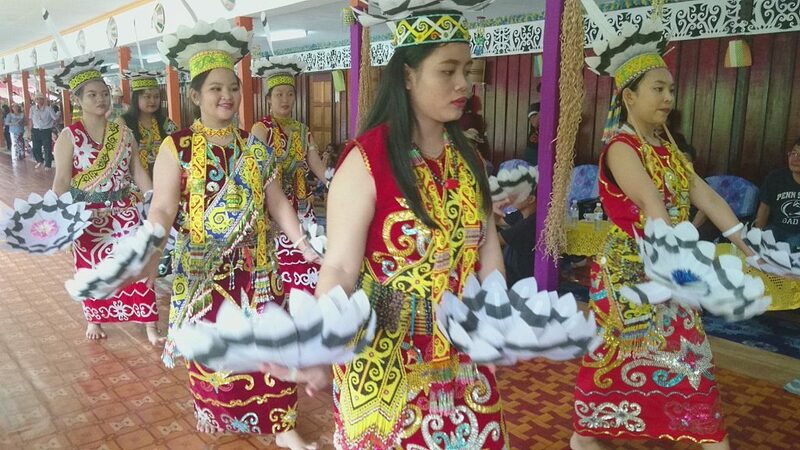 For the purpose of the Lepo Badeng Apau Koyan festival, it was organized as a contest among the blocks of longhouse. There were between 15-25 dancers from the same block community performing the dance at one time. Normally, the dance began with ladies dancing to the rhythm while swaying the hornbill’s feathers fan up and down gracefully. 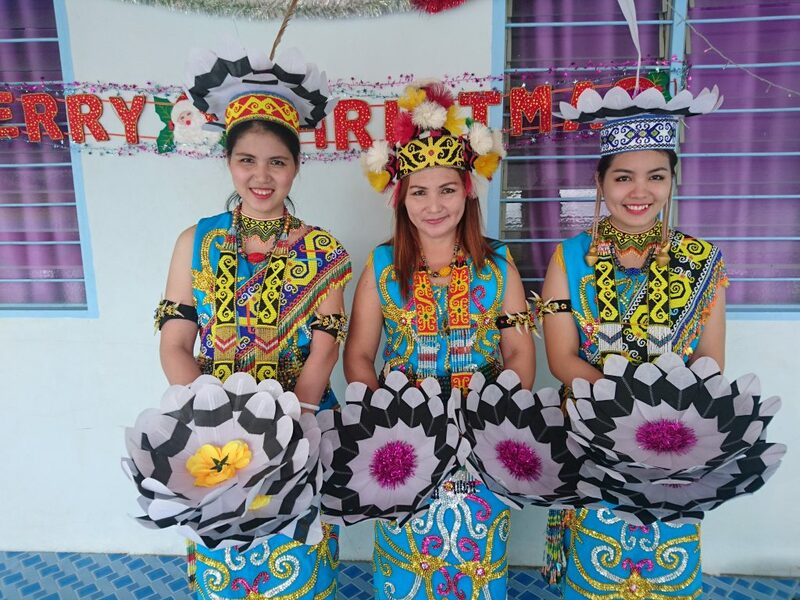 They wear their treasured bright-coloured beaded dresses with a headgear called “kumang”. 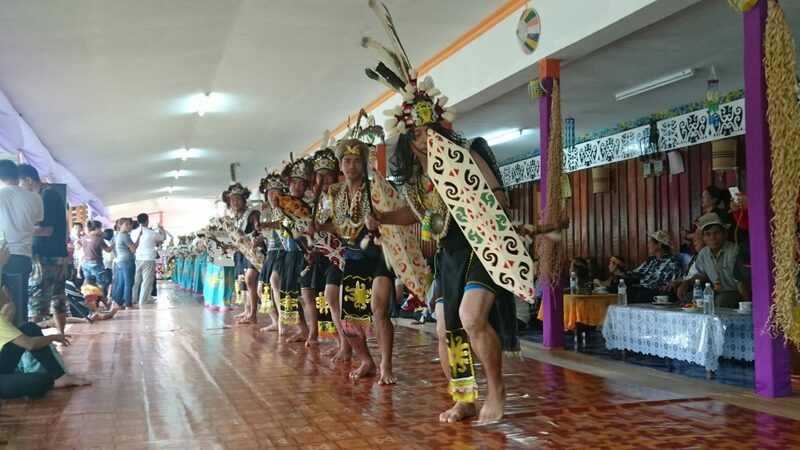 The female dancers were followed by the male dancers performing Sagah Ngayau, which is the warrior dance. The male dancers marched in with the rhythm and swayed their “parang” back and forth depicting the return of warriors from the war. Well, those are the basic features of the dance. It was up for each block community to modify the dance creatively without crossing the heritage line. Interestingly, young adults took part in this cultural festival. The education among the Kenyah is such that they make sure their children learn and retain the cultural heritage. The event ended slightly after noon as two of the block community were involved with a wedding at a nearby church. 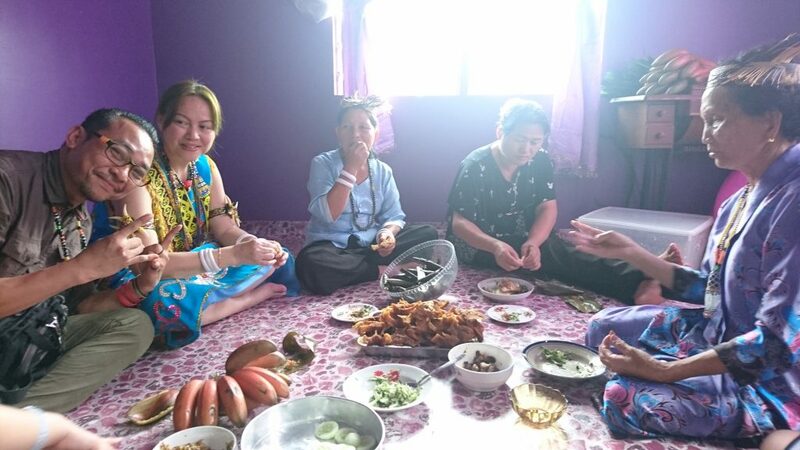 After enjoying the cultural parade, our host treated us to a local luncheon at one of the houses. There was indeed a hype over some chilli condiment said to be the spiciest yet tasty. The whole setting reminds me of my late grandmother’s home. 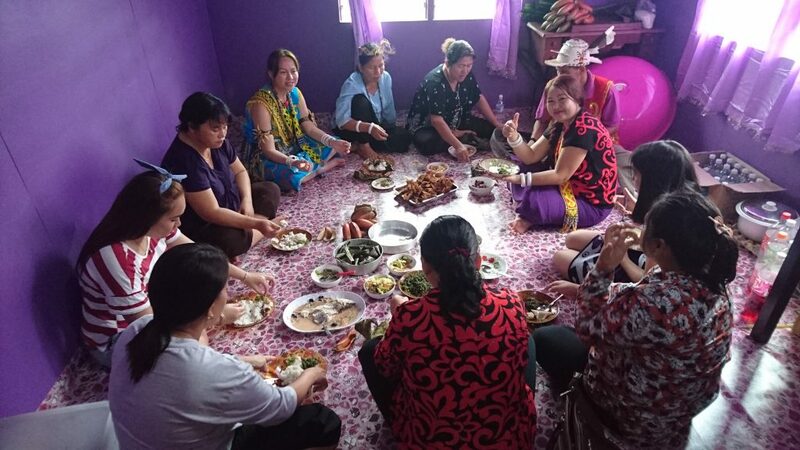 While we were treated as guests of the house dining at the typical long table at the centre of the house, the locals sat cross-legged on the floor and scooped rice from the plate using their bare hand. Slowly they made a huge circle of chattering and laughing ladies. Right after the sumptuous lunch, I played dress-up with some other guests. 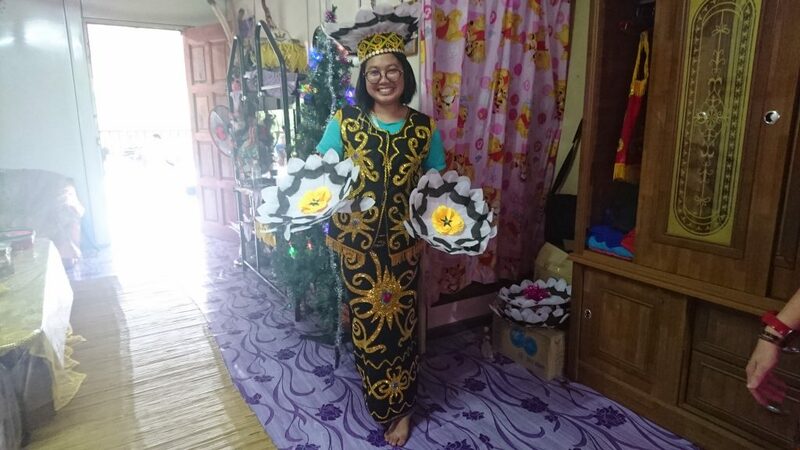 We changed into traditional costumes and started to pose as though we would be dancing the datun julud. 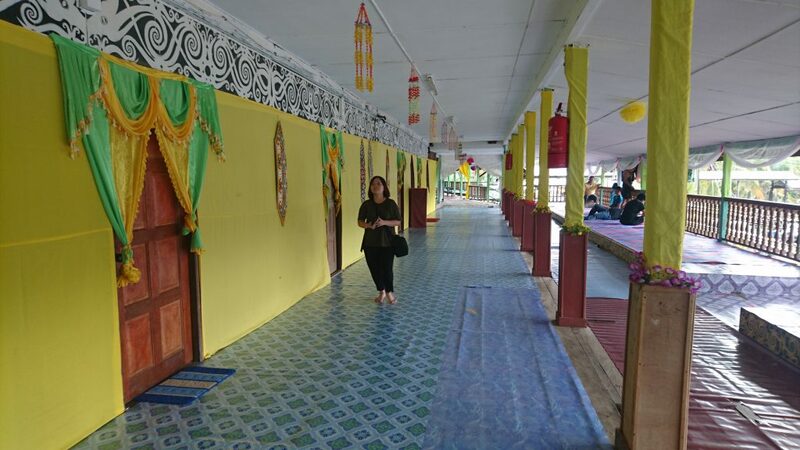 Before long, we walked the length of the longhouse to make a brief visit around the longhouse. 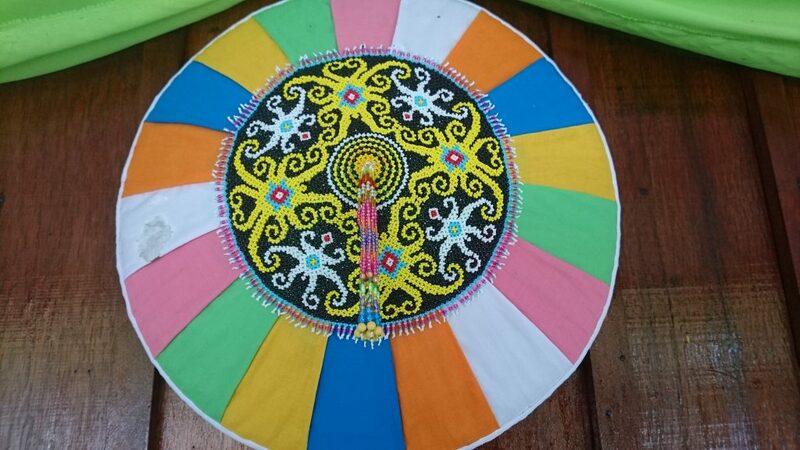 One would not miss the wall decoration epitomizes the intricate craftsmanship and the colourful life of the Orang Ulu. At 3pm, we made our way back to Miri where I was dropped off at the hotel. 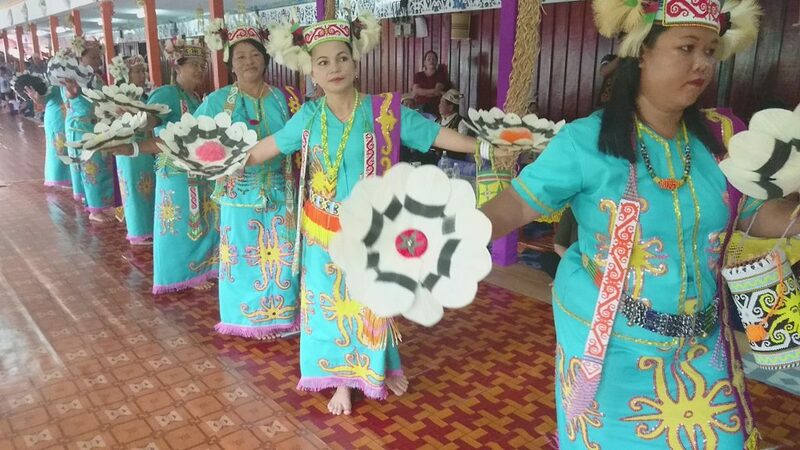 I paid RM599 for the memorable longhouse authentic experience with Brighton Travel and Tours. It was a value price from Matta Fair, Malaysia’s Largest Travel Expo. I would definitely recommend the tour if you are into culture trip.